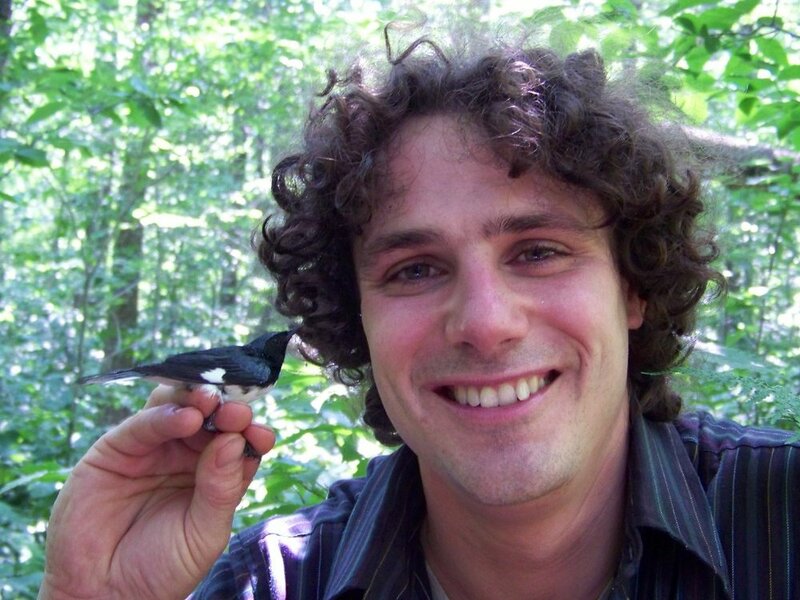 Dr. David Hof is an expert birder, ornithologist, teacher, and bird guide native to New England. He grew up in New Hampshire, and left to attend college at the University of Arizona in Tucson, where he began to develop his love for birding and ornithology. He then spent the next five years working as a field technician, birding, and traveling across North America – from Vermont, New Hampshire, and Maine, to Mississippi, Louisiana, Texas, California, Washington, British Columbia, Newfoundland, and many places in between. His work and travels also took him to Puerto Rico, Costa Rica, Panama, Columbia, Ecuador, Peru, Brazil, Chile, and Argentina. He soon came to realize that there was no place he loved more than New England. He now makes his home in the heart of Vermont’s Green Mountains, and considers New England to be the most beautiful place on Earth and his favorite place to go birding. Through his field research and birding, Dr. Hof has developed an intimate knowledge of New England’s birds, and the places to find the specialties throughout Vermont, New Hampshire, and Maine. As an ornithologist, he specializes in songbird behavior and ecology, and in particular the songs and communication of warblers. He conducts most of his field research on Black-throated Blue Warblers and other warbler species in Vermont. Dave also has a passion for teaching, and there’s nothing he enjoys more than sharing his love for birds and New England with others. He teaches courses in Ornithology and Animal Behavior, and especially likes giving public talks and leading nature walks and bird tours. Dave has an animated and warm personality, and his enthusiasm and excitement make him a delightful tour leader.